The Kansas City drug court stole my children, Drugged them against my will with 3 types of drugs. No more smiles from my children. 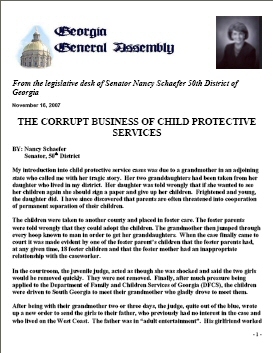 They have been numbed to the child trafficking actions of this court under Commisioner Molly Merrigan and the Social workers of this court for Title IV funds. The courts are desperate for yours and my children. Children are being auctioned off for federal funds. Pingback: · 11-15-2010 I WILL NOT COMPLY WITH YOU CROOKS!